Wood-pellet stoves, such as this one from Quadra-Fire, provide energy-efficient heating using a number of sources, including corn and wheat. 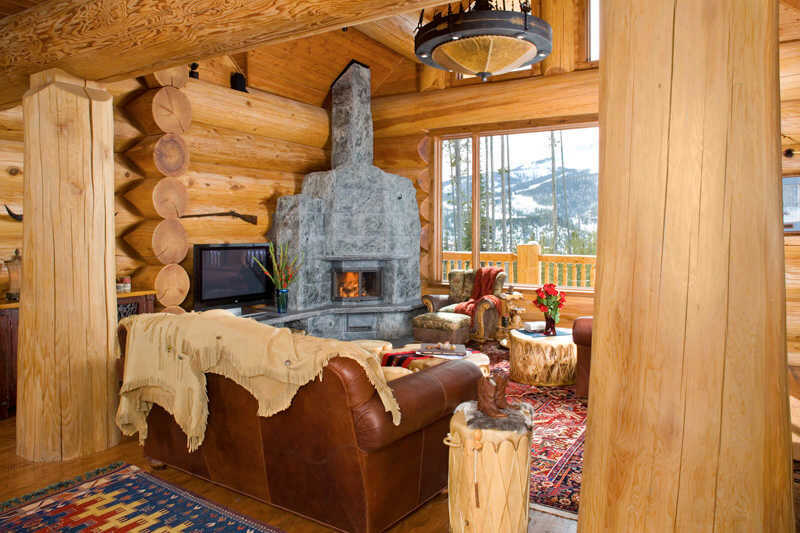 What would a log home be without a fireplace or wood stove? Probably vacant — a blazing hearth is as much a part of the log-home experience as a cozy great room or an inviting deck. But fireplace emissions have been shown to increase particulate pollution and cause health problems for people with asthma or pulmonary disease, leading some local governments to place restrictions on when — or even if — fires can be burned. Fortunately, there are plenty of environmentally friendly fuel alternatives that will keep the fire going. Wood Pellets. Pellets are generally used for dedicated pellet stoves, but a special insert available at many fireplace shops allows them to be burned in a regular fireplace. Pellets come in various types, but most are made of highly compressed sawdust and burn extremely efficiently. They're also among the cheapest fuels out there — it's estimated that using wood pellets as your home's primary heat source could cut your gas or fuel oil bill in half. Processed Fire Logs. Sure, they don't have that quintessential firewood crackle, but today's processed logs are generally much better for the environment, emitting 50 to 70 percent less carbon monoxide than comparable firewood. Using the same principle as wood pellets, processed logs are made from compressed sawdust, fruit pits, paper and other additives that help them burn slowly and cleanly. A unique twist on this concept is the Java-Log, which is made in Brazil from leftover coffee beans. The logs emit a woodsy coffee scent, and the ashes can be used as mulch for your garden. Gas and Propane. Although pellets and processed logs reduce emission problems, some sensitive people may not notice a difference between them and firewood, in which case gas or propane is a healthier choice. Both burn cleanly when properly vented, and today's gas logs look convincingly wood-like. However, the heat created by a gas fire is usually inefficient, so you may need to keep your furnace going to supplement the heat. Portables. 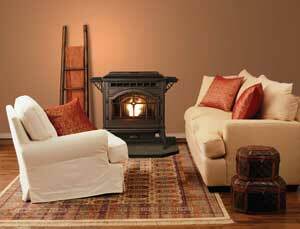 If you want a fireplace to move with you from room to room — or even house to house — consider a portable unit or freestanding fireplace that doesn't require venting. Using electricity, ethanol or gel fuel, they burn brightly and are excellent at heating small spaces. On the downside, they're pretty expensive for what's essentially a space heater. Candles. The most environmentally sensitive solution, and also one of the prettiest, is to fill your hearth with small candles. You'll cut out the pollution and get a lovely glow, although you won't generate much heat.